PSP Phone features: What should it have? PSP Phone: What do YOU want from it? Some of Britain's highest-profile technology and gaming journalists figures have expressed their hope that Sony's PSP Phone can live up to the hype and make a real impression on the gaming world. With the PSP Phone — probably based on the Android OS — looking more and more like it could actually be making an appearance, TechRadar has asked some of the most respected commentators in the UK technology and gaming worlds for their opinions on what the device should bring. 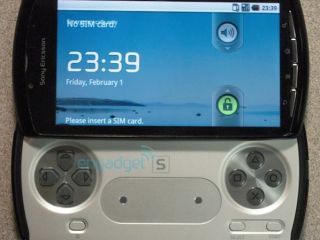 With the spectre of the last major gaming/phone hybrid – Nokia's much-maligned N-Gage – looming large, most agreed that Sony needed to keep all of the usability and convenience of the Android and Apple mobile platforms, but bring in the high-quality gaming and visuals that have built the PlayStation brand. "Near PS3-quality visuals, a phone, a touchscreen, two decent analogue sticks, intuitive media management, solid internet browser… y'know, an iPhone with decent controls and great core games, or the moon on a stick. Whatever's easier! "Seriously, though, Sony either needs to match or exceed the iPhone and iPad, and/or make a games machine so powerful yet affordable, I can afford to ignore the Nintendo 3DS." The competition in the mobile market is already hotting up – with games on Apple and Android handsets selling like hot-cakes. "Sony needs to ensure that not only is its hardware capable and desirable, but that the games are competitively priced and have the kind of instant playability you get with iPhone games such as Angry Birds. "I hope we'll see a device with proper handheld console controls (including an analogue stick), serious power and some genuinely inventive games that make the most of the mobile platform they'll be running on. PSP go: will much-maligned digital library be replaced with something slicker? PSP Go: Will the much-maligned digital library be replaced with something slicker? "Any gaming device lives or dies by its content, so let's see lots of games, across multiple genres — including 3D — at prices everyone can afford." "The screen needs to be bright, with excellent contrast, so ideally AMOLED," she added. "Then there's the interface. Microsoft got the Windows Phone 7 Xbox Live interface spot-on, so hopefully we'll see the XMB developed."